I've mentioned before how I don't care for the Hollywood of today. That's because I was star-struck as a child and teenager. My mom was a big movie buff and we always had the movie magazines on our coffee table, so I remember when Eddie Fisher left Debbie Reynolds for Liz Taylor. During those baby boom years, there also was a BOOM on entertainment. I've heard it said, TV and the baby Boomers grew up together. I can't remember ever NOT having a TV set when we were kids. Many family events, took place near the TV set. Mom would even place the Christmas Nativity on top of the TV set. In San Francisco, where I am from, an Inventor named Philo Farnsworth transmitted the first image of a horizontal line to a receiver in the next room. That was in 1927 and thus, the first TV was born. 202 Green St. San Francisco. I also found out, Philo is a distant relative of mine - 11th cousin, 1 time removed. TV was the entertainment for everybody! Leave it to Beaver, I Love Lucy, You Bet Your Life, The Ed Sullivan Show, that opened us up to even more entertainment, music. We saw Elvis, The Beatles, The Rolling Stones and more. My dad loved Gunsmoke, Wagon Train, and Dragnet. Hollywood was special in the 60's - many of the classic Hollywood stars were still alive. I always looked forward to the Academy Awards, that was when the old Hollywood stars would step out on to the red carpet and shine once again. I remember going to movies, to see Gone with the Wind for the first time in 1963 - the Fox Theater on Market St. The Magnificent Seven - 1960 - ALL STAR CAST: Yul Brenner, James Coburn, Robert Vaughn, Steve Mcqueen, Charles Bronson and Eli Wallach. Shane - 1953 - Alan Ladd, Jean Arthur and Van Heflin. I've underlined the ones I have yet to see. Which ones have you seen? 1950 Events & Facts MAJOR EVENTS: North Korea invades South Korea; U.N. forces arrive to counter the invasion, but are forced to withdraw. President Truman declares state of emergency after Communist China becomes involved in the conflict. Congress passes laws that restrict communists and communist parties in the U.S. The Way West, A.B. Guthrie, Jr. 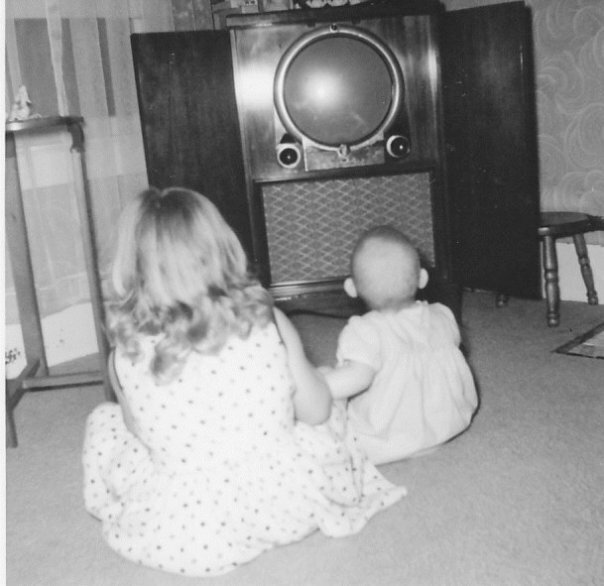 Growing up in the 1960s, television certainly was a big part of our lives and they were black and white. Recently Fathom Theater Events has been bringing some of the baby boom era films back to the big screen. We went to see Singing In the Rain. Our local theater has been doing the same. One time my parents bought a television that didn't play cartoons. Good try mom, we found those cartoons. I've seen most of those movies, don;t remember most, need to watch them again. My husband and I are trying to re-read classic books and watch old movies. Fun. Gone with the wind and The Godfather movies are on my list of favorites. Nowadays everything is so much different. But in a way, it makes me and my generation appreciate the classics even more. This was so interesting. My mom is a baby boomer and talks fondly about her childhood. Reading your post brought back a lot of good memories of her sharing. The only movie I've seen is Jaws - I was SO scared!! I loved re-runs of Leave it to Beaver and Father knows Best. I have seen 2001, A Space Odyssey, The Godfather (I and II), Jaws, and Bridge on River Kwai. Good stuff. What, no Exorcist on this list? Love that round TV screen! I know! I bet it would be worth some $$$ at an antique store. So many memories. I too was star struck with a filing cabinet full of pictures and movie magazines. I can remember not having a TV as a child. I can't remember when we got our first one. But I've never really been a Hollywood type gal! I am NOT one now - I loved the classics. I couldn't even tell you who the top young actors and actresses are and frankly don't care. My kids aren't home - I have no grandkids teaching me, so I am totally in the dark now. I remember when color TV came out too. We all sat around the TV and watched Flipper. I suppose that in that time TV was to your generation what Internet is to today's younger generation. Though from what you say, television seems tho have been accepted more promptly by the entire family, where Internet is seen with some suspicion by parents still now. I remember seeing fourteen of them.